December is upon us already (what?!) which means Christmas is right around the corner. While the stores are starting to fill with the craziness of holiday shopping, I’ve been lounging in my jammies making my Christmas wishlist for 2016. 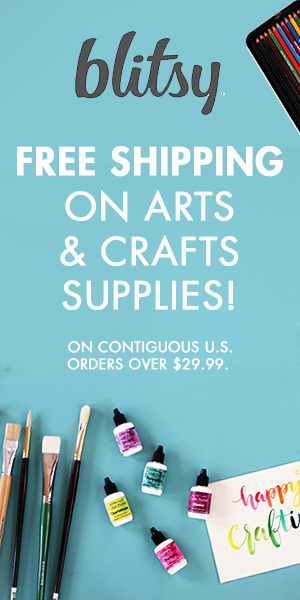 Looking for some great gift ideas for the goofy, artsy, planner girl in your life? These items will be perfect for her! Get comfy, grab a cup of cocoa and those warm and chewy chocolate chip cookies, and let’s get started shopping! Is anyone else challenged when it comes to folding things evenly? No? Just me? Okay then. The Martha Stewart Scoring board makes it super easy make even folding lines in your card or scrapbooking projects. This would simplify my life a lot since I’m always doing some kind of paper craft. I also think Moe would enjoy this when she’s working on her origami projects, since folding the lines in the proper places always seems to be the trickiest part. I’ve been going the cheap and lazy route with my shaker cards for a while by sealing them shut with a simple strip of washi tape, but I’d love to get my hands on one of these We R Memory Keepers Photo Sleeve Fuse Tool to help me make sure these beauties are sealed closed permanently. A true planner girl, scrapbooker, or paper crafting addict can never have enough embellishments. Seriously, I will take them all. No need to wrap anything, just toss as many as you can find under the Christmas tree and I’ll be one happy camper come Christmas morning. 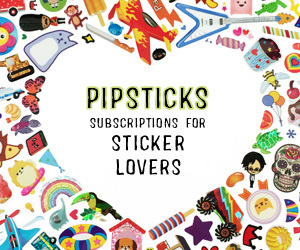 If you are a sticker junkie like I am, then you need to be receiving the Pipsticks monthly sticker subscription. Not only do you get a bunch of really cute and fun stickers sent straight to your mailbox each month, but it comes in the cutest funky packaging too. It truly is a subscription that’s packing your mailbox with a whole lot of happy! These random stickers are fantastic to use in my planner, and the extra goodies make super fun tip-ins for my junk journal pages too. If I was going to sign up for a sticker subscription service of any kind, Pipsticks would be it! I need this product in my life. With as much as I like to take photos using my cell phone, having this printer to bring those images to life will make me (and my journal) extremely happy. Plus, it prints the perfect size photos to use in my planners and junk journal! I’ve had a really strong itch lately to play around with watercolor in my junk journal. I think adding some paint splatters or color swatches with the watercolor would really give my pages a bit more life. It would also be fun to use while practicing my hand lettering too. Having a nice pallet of quality watercolor paints (that I wouldn’t have to share with the kids) would be luxury all on its own. Along with the watercolor paints, I’d love to get my hands on as many different colors of these distress stains that I could. These are so fun, easy to use, and give your projects an amazing pop of color. Speaking of hand lettering – I’ve been very interested in learning how to write better while using a fountain pen. I’ve never used one before so I would love to give it a try in my junk journal. Since I plan to start using mixed media in my junk journal, I would need waterproof ink that will not smear when the pages are wet. I’ve been watching my new favorite Youtube vlogger, Ali Brown, and she recommended the Lexington Grey brand of ink. Since I love her style of journaling, I totally trust her judgment. This little gadget would add another fun element to tip-ins and journal pages. The office supply loving nerd within me would love it too. Since I am always trying to organize everything, I’m sure I could find more productive uses around the house for it. In fact, I’d probably have a little too much fun with it. I promise I’d try not to label the kids foreheads! When I’m not in artsy-fartsy or workaholic mode, I’m taking care of my motherly and housewife duties in the kitchen. I generally hate receiving gifts that require me to be in the kitchen. Don’t I do enough of that all year long? I normally prefer to give and receive something fun that doesn’t require me to be prepping to feed or clean up after my clan. This year, I’m making an exception. Even though I have a love hate relationship with working in the kitchen, I can’t help but drool over the entire Pioneer Women line anytime I pass it at the store. Seriously, I want it all. The colors are gorgeous and I love the fun prints. I hope to someday transform my entire kitchen with these products, and really liven up the kitchen! Maybe then I’d be more willing to spend time in there? What do you have on your Christmas wishlist this year? I’d love to hear about what you’ve been drooling over all year. Share below in the comments so that we can all ooh and ahh with you! 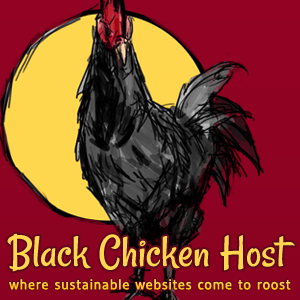 This post is part of the iHomeschool Network’s Christmas Gift Guides Link Up. A great list! I have a Stampin up! scoring board and I LOVE it!